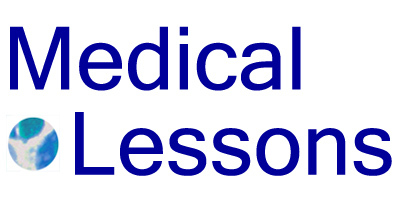 Medical Lessons – The ‘Journal’ Asks, Should Patients Have Identification Numbers? Today’s Wall Street Journal includes a special Big Issues health care section. A post on their blog caught my attention: Should Patient Have Electronic Identification Numbers? The idea is that people who use health care would each be assigned a universal patient identifier, or UPI. This unique number would link to a person’s health records. In principle it would facilitate transfer of a patient’s medical history between doctors, hospitals and, likely, insurance companies. There are arguments pro – mainly having to do with efficiency and patient safety; and against – mainly having to do with privacy. My issue is that it reminds me of Auschwitz. But apart from that particular association, labeling people with numbers seems dehumanizing – what’s already a big negative in modern health care. I/we need to realize that already we have numbers. Most people have social security numbers. I have several hospital ID numbers and insurance company numbers. As for privacy, that’s history, or an illusion. If someone wants to know something about almost any person here in the U.S, they can find it. We inhabit a grid. The debate reminds me of when I was an oncology fellow, and I treated a woman from Central America who had breast cancer. After she underwent a biopsy at our hospital, I reviewed the slides with the pathologist and wrote orders and injected her with chemotherapy. For 15 years or so I followed her in the clinic, and at some point, maybe 5 years after her diagnosis, she told me that her name was not what I’d thought or what her chart said it was. She’d used a cousin’s name and insurance card to get the care she needed. More recently, I was with a relative who had an MRI. Upon registering at the radiology facility, he had to show a state-issued picture ID besides his insurance card. The issue was clear: with some 50 million or so Americans uninsured, and others without the ready means to cover co-pays, some people are assuming other patients’ identities to get the care they want or need. The costs to insurers and hospitals of patient identity fraud – what in some instances I might liken to a hungry person stealing a loaf of bread – may underlie this topic’s appearance in the WSJ. Why Not Tweet When You Are In the Hospital and Not Feeling Well?